I completed my first reading challenge! I think it's pretty self-explanatory...you can check out more color-coded reviews here. Congratulations on finishing your first challenge! And I'm so glad it was mine. 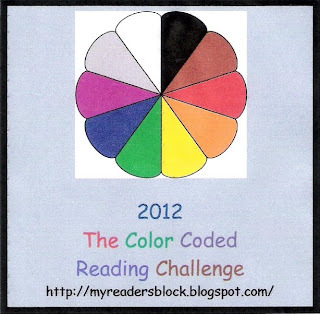 Thanks for joining me in the color-coded reading this year. Don't forget that there will be a prize drawing once the year is over.